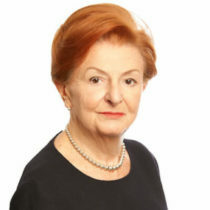 Breege O’Donoghue is a highly experienced former Board Member at Primark and her most recent role, until mid-Sep 2016, was Group Director, Business Development & New Markets. She managed, with others, a business through significant growth and expansion from 17 stores to over 320 in 11 markets. She has had an extremely successful executive career across many functions, with considerable experience in European and US markets, significant experience of leadership, diverse teams and complex cross-functional business projects. Breege also has extensive experience as a Non-Executive Director including chair of the Design and Crafts Council of Ireland, and chair of Real World Analytics, as well as education at university level. Her awards are many. Among the most recent are – UCD Business – Smurfit Patrons of Excellence 2017, Chevalier de l’Ordre National de la Légion d’Honneur 2016; Iconic Businesswoman of the Decade Women Economic Forum, New Delhi, India 2016; Fashion Retailing Personality of the Year, Draper UK, 2016; Irish Tatler Hall of Fame Award, 2016. Breege recently received a Doctorate of Philosophy (honoris causa), from DIT.